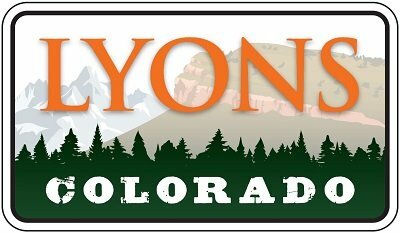 With generous support from Boulder County, the Town of Lyons has continued its free EcoPass program for all Town residents, through 2016. The EcoPass allows users free, unlimited use of RTD bus and light rail services. The “Y” service, from Lyons to Boulder, routes to the airport, and the new FLEX bus to Fort Collins are just a few of the free services offered. View all the RTD transit routes and schedules, free to EcoPass holders. Visit the EcoPass webpage for more information, including how to apply for or replace an EcoPass. The Sustainable Futures Commission understands that the bus does not work for everyone, so the team continues to research other alternative programs that will help provide residents with more flexible transit options. However, they need your help. Please take this quick survey to better inform the SFC of the transit alternatives Lyons residents would be interested in. The Education Foundation for the St. Vrain Valley is looking for help nominating teachers for the Encore Award Program. This awards program provides the opportunity for students, parents, community members and business partners to recognize and honor individual teachers at the Pre-K through 12 levels in the St. Vrain Valley School District who exemplify excellence in teaching. To nominate a teacher for this award, please visit efsvv.org/programs. The Education Foundation for the St. Vrain Valley is sponsoring a Community Night with the Denver Nuggets, as a fundraiser for the St. Vrain Valley School District.